High Quality Content by WIKIPEDIA articles! High Quality Content by WIKIPEDIA articles! Ochrotrichia apalachicola is a species of microcaddisfly. 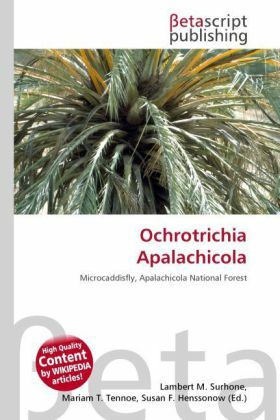 It is only known from a single adult male collected from a cold spring-fed stream in the Apalachicola National Forest, Florida. This is a tiny brown caddisfly up to 3.4 mm in length and can only be distinguished from its closest relatives by minute differences in the genitalia.